The all new 3 Waters Kayaks Big Fish 120 has all the performance, comfort, and technical features you need to get on the river, lake, or ocean. The modern-style cathedral hull offers an extremely stable fishing platform, whether you're sitting in high seat position or standing up on the reinforced standing platform. It also tracks incredibly well even without a rudder and paddles smoothly and efficiently. The Big Water seat has four positions: high, low, recline, and flip away. It can also double as a lean bar when flipped up for sight casting. Additional features include rod tip storage at the bow, a removable sonar pod, 2 molded in rod holders, bungee tankwell, 2 pairs of accessory tracks, and a molded in bow handle. The Big Fish 120 offers all the angling features you need at a low price tag. The all new 3 Waters Kayaks Big Fish 105 has all the performance, comfort, and technical features you need to get on the river, lake, or ocean. The modern-style cathedral hull offers an extremely stable fishing platform, whether you're sitting in high seat position or standing up on the reinforced standing platform. It also tracks incredibly well even without a rudder and paddles smoothly and efficiently. The Big Water seat has four positions: high, low, recline, and flip away. It can also double as a lean bar when flipped up for sight casting. Additional features include rod tip storage at the bow, a removable sonar pod, 2 molded in rod holders, bungee tankwell, 2 pairs of accessory tracks, and a molded in bow handle. The Big Fish 105 offers all the angling features you need at a low price tag. The Humminbird Transducer for Ocean Kayak Fishing Kayaks XTH 9 20 P is plastic thru-hull transducer that fits the specially made groove in the bottom of most models of Ocean Kayak fishing kayaks. Single/Dual Beam, 20/60 degree, 200/83 kHz. Not compatible with the Trident Ultra, as the Ultra requires the transom mount transducer and Ultra Transducer Kit. The Kaku Wahoo Fishing Kayak offers a roomy and stable platform to fish from. The open cockpit gives you plenty of space to move around for sighting and casting. The raised seat is comfortable for long days on the water. The Wahoo has four top-load gear tracks, 2 flush mount rod holders, and is Micro Power Pole and rudder ready. It also offers plenty of storage in the bow hatch, rear tankwell, and rear day hatch. The Kaku Wahoo 10.5 Fishing Kayak offers a roomy and stable platform for fishing in a sub-11 foot length. The open cockpit gives you plenty of space to move around for sighting and casting. The raised seat is comfortable for long days on the water. The Wahoo 10.5 has four top-load gear tracks, 2 flush mount rod holders, and is Micro Power Pole ready. It also offers plenty of storage in the bow hatch, rear tankwell, and rear day hatch. The Hurricane Sweetwater 126 Fishing Kayak is the stable yet maneuverable craft you need to get away from the bank and land large fish. It features a stable hull design that accommodates all styles of casting, while maintaining the ability to track well and turn when you need it. The cockpit features a spacious design and a 1st Class Frame Seat that adjust to ensure you have comfortable, breathable back support as you paddle. The sit-on-top design provides plenty of space to stand to cast, and the Sealect Designs Footbrace System is easy to adjust thanks to its pinch-and-slide system so you can move the braces out of your way to cast. Storage options include a bow and a day hatch which secure gear and protect it from splashes, while a rear well bungee straps down your tackle box and other items that require less protection. Enjoy all the features of the best fishing kayaks in a compact, convenient package with the NRS Pike Inflatable Fishing Kayak. Throw it in your rig, head to the water, air it up and go after that trophy. This stable, top-quality inflatable kayak features a rigid, self-bailing floor, plus all the bells and whistles serious anglers demand. The Pike features heavy-duty, abrasion-resistant PVC construction for long-lasting durability and the drop-stitch PVC floor inflates to exceptionally high pressure, giving you a stable, flat, rigid platform for sight fishing. Two removable skegs allow you to choose the one that is better for your tracking needs and the comfortable collapsible seat adjusts to fit, and you can position it where you like it best in the boat. The SS127 fishing kayak from Bonafide delivers the Ultimate Fishability™. It was designed by anglers, for anglers and is loaded with features you won't find anywhere else. The hybrid cat hull design provides maximum stability without sacrificing paddling performance. The SS127 features the incredibly comfortable HiRise™ seating system. The ultra-high seat allows you to sit with your knees bent, taking pressure off of your lower back. If you want to really dig in and cover some distance, the SeatRack™ and foldable seat frame allow quick and quiet conversion to a lower position. The SS127 provides enough stability that you can stand on the gunwales for a better vantage point while sight casting. Surprisingly, a boat this wide and stable still paddles efficiently with exceptional tracking. The Bonafide SS127 is truly an incredible fishing kayak. The SS107 fishing kayak from Bonafide was designed by anglers, for anglers and is loaded with features you won't find anywhere else. The hybrid cat hull design provides maximum stability without sacrificing paddling performance. The SS107 features the incredibly comfortable HiRise seating system. The ultra-high seat allows you to sit with your knees bent, taking pressure off of your lower back. If you want to really dig in and cover some distance, the SeatRack and foldable seat frame allow quick and quiet conversion to a lower position. The Bonafide SS107 is truly an incredible fishing kayak. Tahiti Inflatable Fishing Kayak - 2-Person. Go fishing in comfort in the Sevylor Tahiti 2-Person Fishing Kayak. The adjustable seat and padded back rest will keep you paddling longer. In rougher water the two spray covers will help keep you dry. Easily carry the kayak over shallow water and in and out of the water with the carry handles. Just in case you do hit a snag the multiple air chambers will help you get back to shore. Cannon River Ranch Cabin 2: 3 BR Cabin- Fish, Kayak, Canoe the PM! 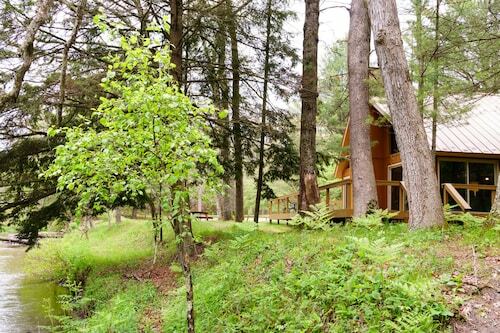 Situated in Branch, this cabin is 0.1 mi (0.1 km) from Huron-Manistee National Forest and 7.9 mi (12.6 km) from Shrine of the Pines. Amber Elk Ranch and West Michigan Fairgrounds are also within 32 mi (52 km). Situated in Callao, this vacation home is within 9 mi (15 km) of Vault Field Vineyards, Kinsale Museum, and General's Ridge Vineyard and Winery. Hague Winery is 8.7 mi (14 km) away. This family-friendly Brewster vacation home is located by the ocean, within 3 mi (5 km) of Stony Brook Grist Mill and Museum, Cape Cod Museum of Natural History and Paine's Creek Beach. Harris-Black House and Higgins Farm Windmill and Brewster Ladies' Library are also within 3 mi (5 km). Situated in Freeport, this vacation home is within 12 mi (20 km) of South Walton Visitor Center, Grayton Beach State Park, and Seaside Beach. Santa Rosa Beach and Point Washington State Forest are also within 12 mi (20 km). 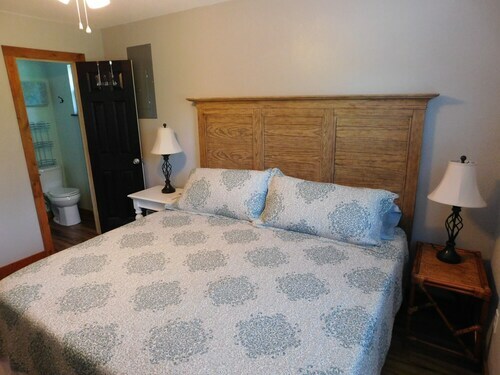 Situated in the mountains, this property is 12.5 mi (20.1 km) from Miche Vaeley War Memorial and 17.5 mi (28.2 km) from Ouachita National Forest. Being the perfect blend of stability, speed and maneuverability, the Ocean Kayak Trident 13 Kayak Deluxe Fishing Package is a great place to start your career as a paddling angler. It's outfitted with the highly customizable Mod Pod, Sonar Shield, the comfort minded Stohlquist Fisherman High Back PFD, a high performing Bending Branches Slice Glass paddle, two professionally installed Flush Mount Rod Holders and a bungee paddle leash. 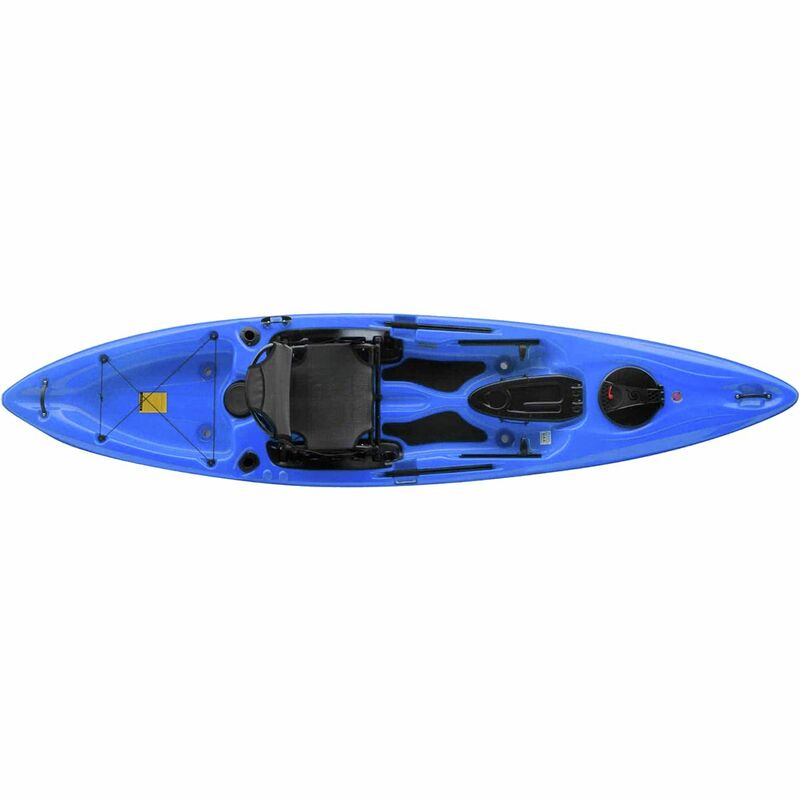 If you and your fishing partner are ready to take the leap into the world of kayak fishing, then this Ocean Kayak Malibu 2XL Tandem Kayak Deluxe Fishing Package is a great place to get started. It includes all the basics for two and can even be easily converted into a solo paddling kayak by removing and re-positioning the seats. The Malibu 2XL kayak includes 4 rod holder mounts, 2 rod holders & 3 hatches professionally installed. It also includes two AT Pursuit Angler kayak paddles which are great for both beginners and advanced paddlers, two high-back NRS Chinook PFDs that offer great gear storage & organization options and seats and paddle leashes for two. Ideal for anglers who value maneuverability over speed, the Ocean Kayak Trident 11 Kayak Deluxe Fishing Package is a great place to get your start as a paddling angler. It's outfitted with the highly customizable Mod Pod, a Stohlquist Fisherman High Back PFD, a Bending Branches Slice Glass paddle which is great for both beginners and more advanced paddlers and a bungee paddle leash. The all new 3 Waters Kayaks Big Fish 120 Angler Package is going to get you out on the river, lake, or ocean with all the performance, comfort, and technical features you need. The Big Fish 120 boasts a modern-style cathedral hull for an extremely stable fishing platform, whether you're sitting in high seat position or standing up on the reinforced standing platform. It also tracks incredibly well even without a rudder and paddles smoothly and efficiently. The Big Water seat has four positions: high, low, recline, and flip away. It can also double as a lean bar when flipped up for sight casting. Additional features include rod tip storage at the bow, a removable sonar pod, 2 molded in rod holders, bungee tankwell, 2 pairs of accessory tracks, and a molded in bow handle. The Big Fish 120 offers all the angling features you need at a low price tag. The fishing package comes complete with a Stohlquist Spinner universal fishing life jacket PFD in khaki. It features a thin back for maximum comfort in the Big Water seat. It adjusts with 3 buckles for simple entry and adjustability. The OSO Bay Discovery paddle is just as versatile as the Big Fish. The fiberglass blades will smoothly propel you to your favorite fishing spot. The fiberglass shaft provides a comfortable grip for all day paddling. The included bungee paddle leash will make sure your paddle doesn't float away when you're fighting to land that keeper. An angler package wouldn't be complete without a rod holder! The Scotty Baitcaster is a tried a true rod holder that can hold a bait caster or spinning reel. We also include the Scotty Gear Head Track Adapter so you can mount it on any of the four tracks on the Big Fish. This package is everything you need to get out on the water, but we recommend adding on the 3-lb anchor kit. Once you find that sweet spot, you don't want to drift down stream! The Kayak Fishing Drift Chute will help you set up the proper drift in heavy wind or current. Having the right speed on a drift can mean the difference between catching fish or getting skunked. The Kayak Fishing Drift Chute is an easy and affordable way to control drift speed and fishing angle. Wade and Kayak Fishing the Coastal Bend of Texas by Ray Crawford covers launch sites for kayaks or wading along the coastal bend of Texas. Ray Crawford covers in detail numerous launch sites for kayaks or wading on the following bay systems: San Antonio Bay, Red Fish Bay, Aransas Bay, Corpus Christi Bay, and the Upper Laguna Madre. Wade and Kayak Fishing the Coastal Bend of Texas by Ray Crawford is a must have for any aspiring kayak angler that fishes the coastal bend of Texas.